Today’s revelations that the McGuinty government was warned about problems with the ORNGE air ambulance service seven years ago shouldn’t come as a surprise. Tory MPP Frank Klees claims to have found a box full of internal cabinet memos that indicate the McGuinty government was warned about the proposals ORNGE boss Chris Mazza was bringing forward to government. It wasn’t the only such debacle the government was warned about. When Dalton McGuinty’s government came to power in 2003, they commissioned a Deloitte study into the feasibility of plans by the Tories to build two public hospitals as public-private partnerships (P3s). That report suggested the cost of the William Osler Health Centre could run as much as $300 million more than if it had been built under traditional public procurement. McGuinty tweaked the deal slightly so that the government retained ownership from the start, rather than reclaim ownership at the end of the contract period. This did not affect the ability of the consortium to run the hospital as if it did own the building. McGuinty ignored the $300 million cost difference. 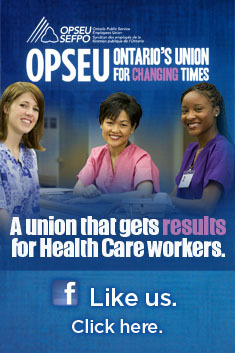 While the government claims to be open and transparent, it took a different kind of consortium – three unions (including OPSEU) and the Ontario Health Coalition almost four years in court to obtain the Deloitte report. In 2007 Natalie Mehra, Director of the Ontario Health Coalition, said the government should place a moratorium on P3s until the auditor had a chance to review the two deals already signed. The government continued signing P3 projects and the Auditor General (AG) of Ontario did investigate the circumstance of the William Osler the next year. 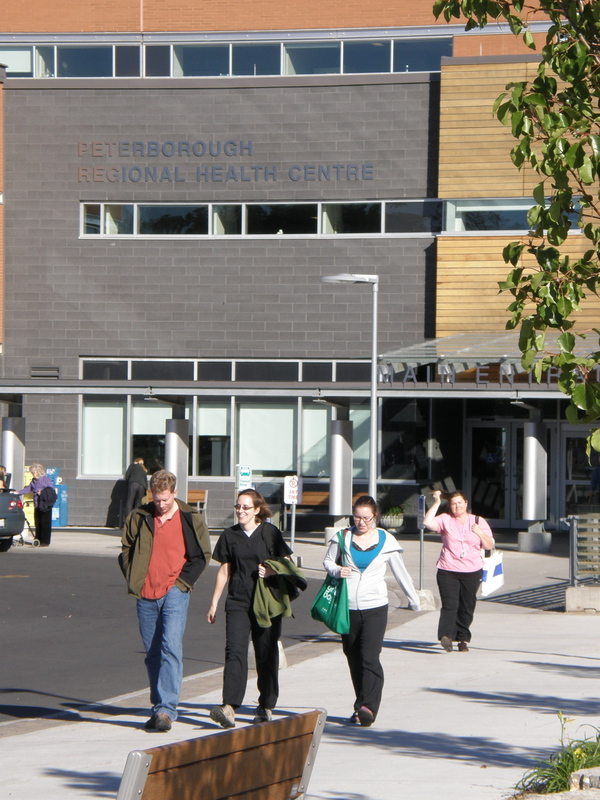 Peterborough Regional Health Centre was built under traditional procurement for about half the cost of the Osler. It was also used for comparison purposes by the Auditor General. The AG found the government’s value for money assessment – done after the project had already been committed to as a P3 – had overinflated the option of doing the project under traditional procurement by a net $634 million. Similarly, costs associated with the P3 were left off the value for money comparison, including $28 million in consultants costs the auditor noted were associated exclusively with the P3 process. Oddly, the AG’s report never adds up what the total difference would have been. The Globe and Mail’s Andre Picard calculated from the auditor’s numbers that the taxpayers of Ontario paid close to $400 million more in costs associated with building the hospital under this model. This is even more than what the original Deloitte report had estimated. Anticipating the AG’s report, the McGuinty government had already stripped ancillary services – such as food, cleaning, security, and IT – from future P3 projects. Did Infrastructure Ontario really not read the rest of the auditor’s report that highlighted how its own VFM massively overestimated one side of the equation and underestimated costs associated with the P3 option? Today the McGuinty government continues to sign new P3 projects. While the Osler was intended to be a pilot, other deals were signed, including the new North Bay hospital, before any assessment could be made of that pilot. Both Deloitte and the Auditor General’s reports were revelatory, yet we have not seen this kind of scrutiny applied to any of the new generation of P3 projects. We still rely on Infrastructure Ontario’s flawed VFM comparisons. Frank Klees says McGuinty knew about the problems with the structure posed by ORNGE seven years ago. We know McGuinty was warned by Deloitte about the problems with the William Osler deal. Ontario claims to be making these decisions based on evidence. The evidence would suggest otherwise. As a footnote to this story, OPSEU’s local at the Royal Ottawa Mental Health Centre has issued two reports from the perspective of staff working inside a P3 hospital. They continue to be some of the best first-hand accounts to show that P3s are not just a huge financial boondoggle, but they affect the delivery of front line care too. To read Risky Business, click here. To read Risky Business II, click here. Very apt highlighting of two areas where private interests are encroaching on our system. There are many similar areas–the injustice and increased cost of private interests in health care must continue to be brought to the public’s attention in order to combat the view that “private is better”.